Need help paying for that new school bus or upgrade? EPA is offering an opportunity to receive up to $25,000 per vehicle to replace your older school buses, and up to $6,000 per vehicle for retrofits. 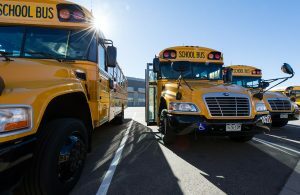 Older school buses without retrofits emit significant amounts of harmful exhaust, so participating in this program will help improve the health of students and other members of your community. The 2016 School Bus Rebate Program is now open and applications will be accepted until November 1, 2016 at 4:00 p.m. ET. Please visit www.epa.gov/cleandiesel/clean-diesel-rebates for the Program Guide with all the details as well as FAQs and the application form.